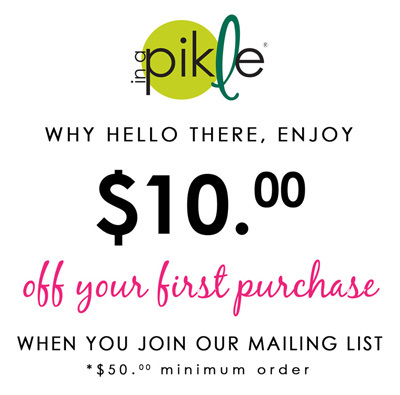 A Pikle is a stylish little purse/bag/pouch that has all of those little items that you need every single day, especially when you’re ‘In a Pikle’! Sure you could put it together yourself, but why? Trust me, you won’t be nearly as organized on your own. Okay, maybe you would, but I certainly wouldn’t.